Greater Grays Harbor Inc. received funding to develop an ad for their program, Discover Grays Harbor through the Port of Seattle. Under the program, the Port covers the cost of reserving an advertising location at the SeaTac Airport. 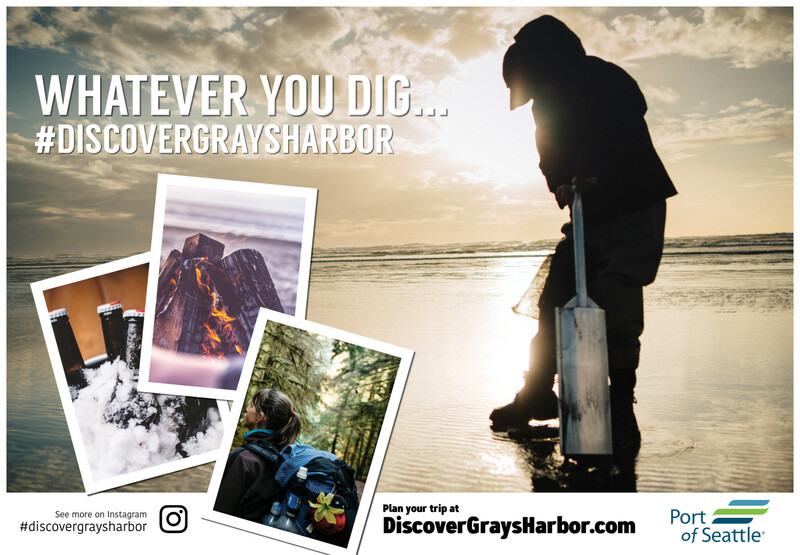 The “Discover Grays Harbor” ad will be featured in the airport from July to September of 2018 promoting the Washington Coast for this time.